Wow, a third post already. I am going for a blogging record, or at least a new personal best. A distinction, I believe, that is currently held by www.candycritique.com. That’s my blog with reviews of candy. Eating candy is another hobby of mine. Looks like that site has about 25 posts in total, so I still have some way to go. Though to be honest, several of those posts were made by my wife. Unfortunately, though she shares my interested in eating candy, she does not show any interest in painting miniature figures, nor building scale models. Her current hobbies are chocheting and knitting, which she blogs about here: sewisee.blogspot.com. She’s very good at it, as you can see from the pictures. Once, many years ago, I did know how to knit and crochet myself, as I was taught it in school. But that is a skill that I have long since lost. My wife is also interested in polymer clay, and several years ago we built the site www.polymerclayweb.com. This does mean that she has a well equipped craft room with many tools and material that I now can ‘borrow’ for use with my own hobby. In either case, this post was supposed to be about how I got into this hobby (as the title ‘background’ so cleverly indicates). 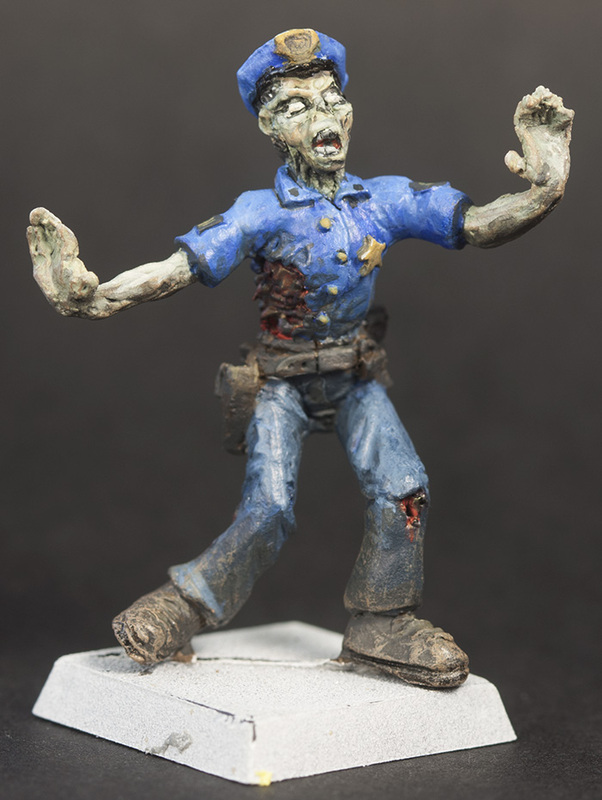 Somehow I grew up without even knowing that there is such a hobby as painting figures. I did built a few scale models as a kid, as I imagine most of us do, but that was back in the 80s, and not a hobby I have kept up with. Most of my memories of that is of ill-fitting parts and glue that gets everywhere and never sticks (again, as I imagine most of us do). Me and my wife enjoy playing board games, and it was when I was researching some game online that I came across some pictures of Hirst Art Mold creations. ‘That looks like it could be fun’, said I, and ordered a handful of molds and a big bucket of dental plaster. It was indeed fun, and I promptly had created a tower of sorts, built entirely out of bricks that I had molded myself. And while that was a satisfying enough experience, that tower did look a bit empty with nothing else going on around it. I noticed in pictures of other Hirst Art models that they had little figures clambering all over their creations. I did some more research, and a trip to the local Hobbytown USA store made me the proud owner of a Warhammer Battle for Skull Pass Paint Set. 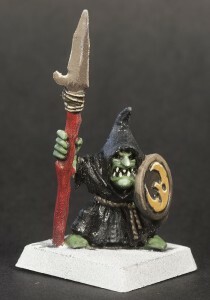 The box contained a brush, six little paint containers, and about a dozen Night Goblins that looked eager to be painted. To make things even better, the set was on sale at half prince. In hindsight, buying a set containing paint at clearance might not have been the best idea, as the paints were more or less dried out. But with some water and heavy stirring I was able to get my first goblin painted. It did not turn out that great, but I had fun doing it, so I did some more research, got some better paint from Hobby Lobby and picked up a few more figures.